Modern media has placed a premium focus on home renovation programs, encouraging homeowners to upgrade their space in a safe, cost-effective manner. Being able to reduce your impact on the environment is also a common consideration for many citizens who are looking to get more out of their homes. When it comes to the kitchen, you will be faced with a plethora of design options, each offering their own unique benefits and drawbacks. Cabinet refinishing is one approach that can improve the aesthetics of your kitchen in a way that reduces waste while saving money. Detail Design & Remodeling is proud to be your source for the best cabinet refacing in the Atlanta area, delivering quality results to Georgia residents for years. Our home remodeling contractors provide a personalized approach to deliver the kitchen of your dreams, from minor improvements to custom cabinet making. We’re proud to offer eco-friendly services to help improve your kitchen space. Today, we’ll preview a few handy tips that will help in making your kitchen more green. When done, be sure to contact our cabinet company to see how we can help with your kitchen renovations! Small leaps can result in great bounds, especially if you decide to swap out those incandescent light bulbs in your kitchen. These aging bulbs rely on the power (i.e. wattage) to determine the brightness, where 40 watts is far less bright than 80-watt products and so on. While the most affordable up front, incandescents quickly add up in energy costs. These bulbs are not very efficient, burning up a lot of energy in the lighting process and also letting off a hazardous amount of heat. Additionally, these bulbs last between 700 and 1,000 hours, requiring homeowners who use the lights four hours a day to make replacements roughly 15 times through the course of a decade. When you combine the operating costs and the bill of replacement, it should be understandable as to why these bulbs are being phased out nationwide! Compact fluorescent bulbs (CFLs) and light-emitting diode bulbs (LED) are both efficient options that provide lower energy costs in addition to lasting much longer. Your average LED bulb is rated to last 25,000 hours, meaning that your four hours of use a day will last approximately 17 years! These modern lighting options help to reduce energy costs, operating up to five times more efficiently. The long life span will also reduce the number of bulbs thrown away, reducing the number found in landfills and recycling centers across the country. New appliances often accompany kitchen remodeling projects, and this represents the perfect time to invest in energy-efficient products. Any appliance with the ENERGY STAR label affixed to the front will provide very green benefits for kitchen. This symbol is our government-backed seal of approval for products that are efficient and produce minimal waste. 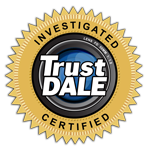 The quality of each ENERGY STAR appliance is checked through stringent testing methods, delivering a result that you can count on for your home. Investing in these products will prove very beneficial to you and the environment. Homeowners taking advantage of this modern technology will see drastic reductions in their energy bills, as the appliances in the average home consumes more than a tenth of the total energy supply. The reduced electrical and gas demand placed on power-producing plants will also help, as less emissions are created when the demand drops. The end result is a beautiful kitchen stocked with efficient, durable appliances that also help to make the world a better place. Your kitchen windows help to bring natural light into the space, but they may also be leaking a lot of conditioned air in the process! Old windows are notorious for failing to seal properly, resulting in major temperature changes and higher energy bills. Many homeowners do not realize the value of updated windows until the change is already done. While many people worry about the cost of installing new windows in the kitchen, it’s important to remember that the value added from the upgrade will often offset the price tag when considering your home valuation. 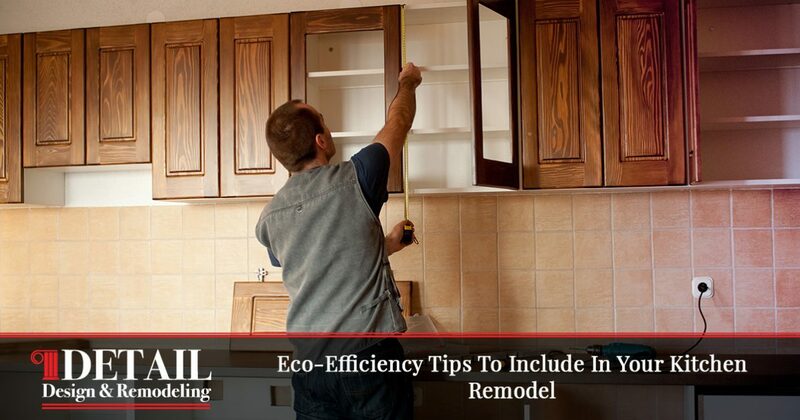 Over the years, the lowered energy bills will also help to make this task well worth the time and money! From the old dishwasher hogging water to the sink’s drain line leaking moisture, your kitchen may be rife with inefficient fixtures. Old, outdated models are often very inefficient, wasting a lot of water with each use. An additional concern comes from leaks, where water can be wasted even if you aren’t using your kitchen. Wasting H2O is generally frowned upon, and your wallet will not enjoy paying the increasing utility bills. The act of cabinet refinishing can prove to be economical on a few different levels. Detail Design & Remodeling strives to deliver the best services in the industry, providing quality results that are as cost-effective as they are beautiful. Cabinet boxes in decent condition can be reused, where the doors and hardware are the only visible components needing replacement. Avoiding a full replacement will also reduce your waste, as your old cabinets will avoid sitting in a landfill for years to come. Our contractors can visit and offer advice for the best approach for your kitchen cabinets. When it comes to a full kitchen remodel, you as the homeowner have a lot of tools and eco-friendly options at your disposal. Detail Design & Remodeling is proud to be your source for full-service cabinet refacing in Atlanta, servicing Northern Georgia with pride. 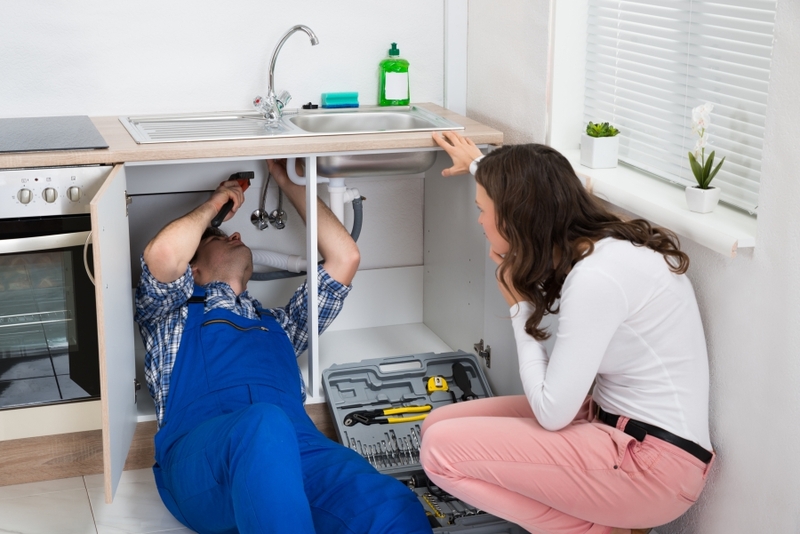 Our contractors are ready to help with quality solutions, from minor repairs to full custom cabinet work. Contact us today learn more!